Photo of: West of Ireland: Galway: Galway Bay. A view of the Gleninagh mountains in the Clare Burren from across Galway Bay. 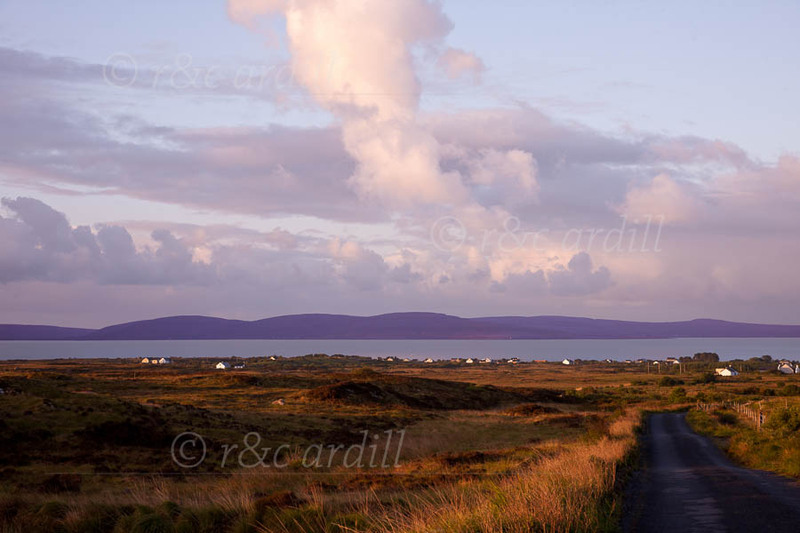 The photograph was taken above Spiddal in the early morning, with the sun just touching the grasses verging the road.